No, you probably haven't. Not even though she's white, pretty, and went missing in December of 2010. No one will ever see her again. Her remains were recently uncovered (by most reports in pieces) and identified after having been found in a rural area roughly thirty miles from her home (her home, and also the recovery site, are also thirty miles from my home). 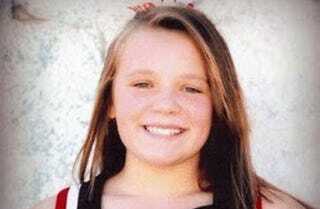 Her name was Hailey Dunn. While it's tempting to imagine the lack of coverage of Michelle Knight's disappearance lies heavy in the hands of racism, can I take a moment to remind you that the patriarchy does not lie without blame? We, as women, are often treated as utterly disposable. This young girl, 13 at the time of her disappearance, was everything it's supposed to be "safe" to be in America. White. Cute. Privileged. But she's still on the wrong side of the gender divide, and I'm going to go out on a limb and suggest that you've never heard of her before today if you are not in Texas, particularly rural western Texas. Ask yourself why, as you are thankful for the young women rescued from their kidnappers in Ohio... why don't you know this face? I lay the blame (not just for lack of media coverage, but for abductions in the first place) squarely on the patriarchy, because I believe girls are considered expendable and invisible first; it's only the mitigating factors of race or socio-economic status that may play a secondary role in coverage - or not - of their disappearance. Why haven't you seen her? Maybe it's because she's a girl, and sometimes there doesn't need to be any other answer than that.